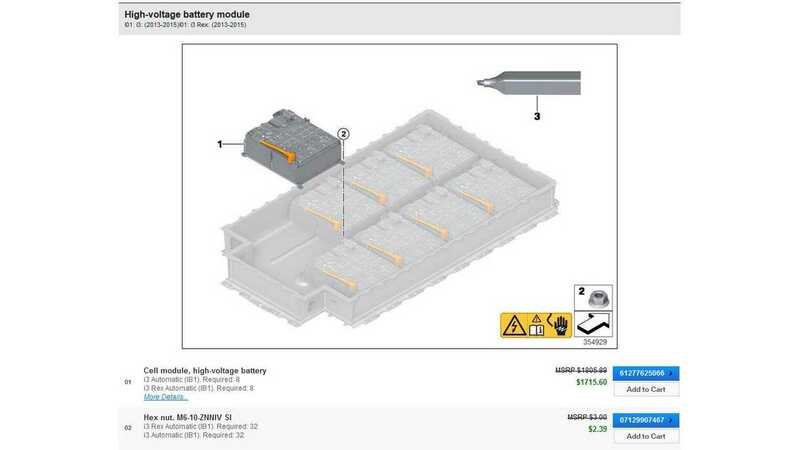 Courtesy of BMW of Bridgewater's online parts ordering service, we've discovered the BMW i3's battery module cost: $1,805.89 MSRP or $1715.60 through BMW of Bridgewater. 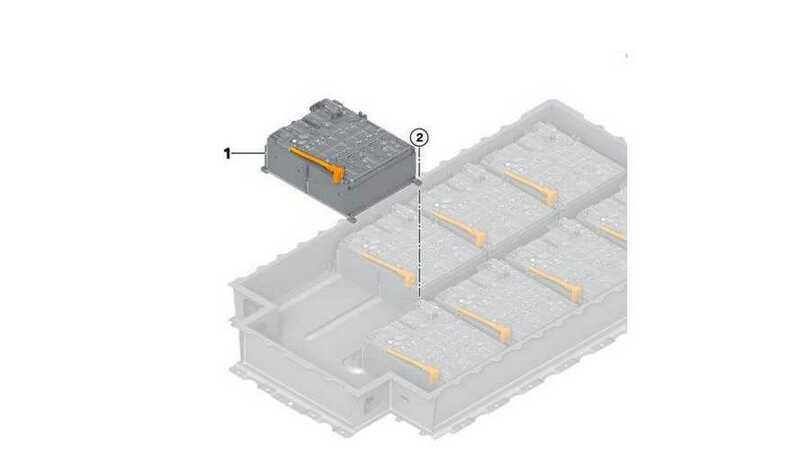 Each BMW i3 comes with 8 modules (12 cells in each), so total cost for all 8 modules is $13,725. 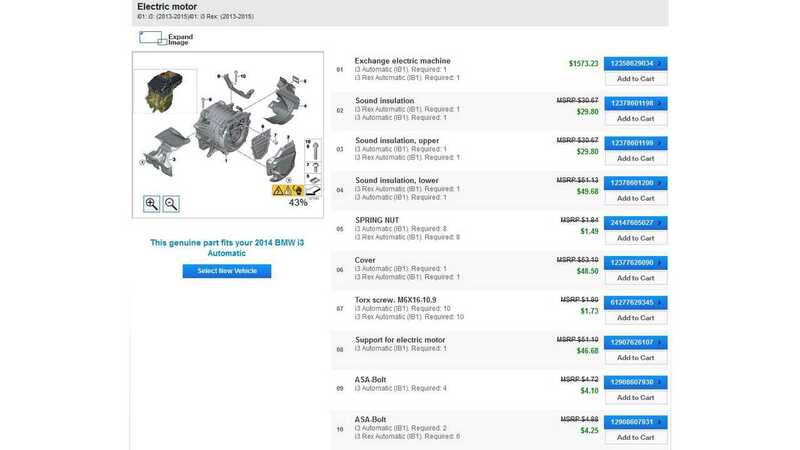 That price doesn't include the battery housing, cabling and other components that are vital to making the i3 battery function as intended. Each i3 module has a capacity of approximately 2.75 kWh. Total capacity of the i3's battery pack is listed at 22 kWh with 18.7 kWh as useable. Per BMW, via our contact, the actual capacity is 21.6 kWh and useable is 18.8 kWh. Hat tip to Mary Demarest-Paraan!! !